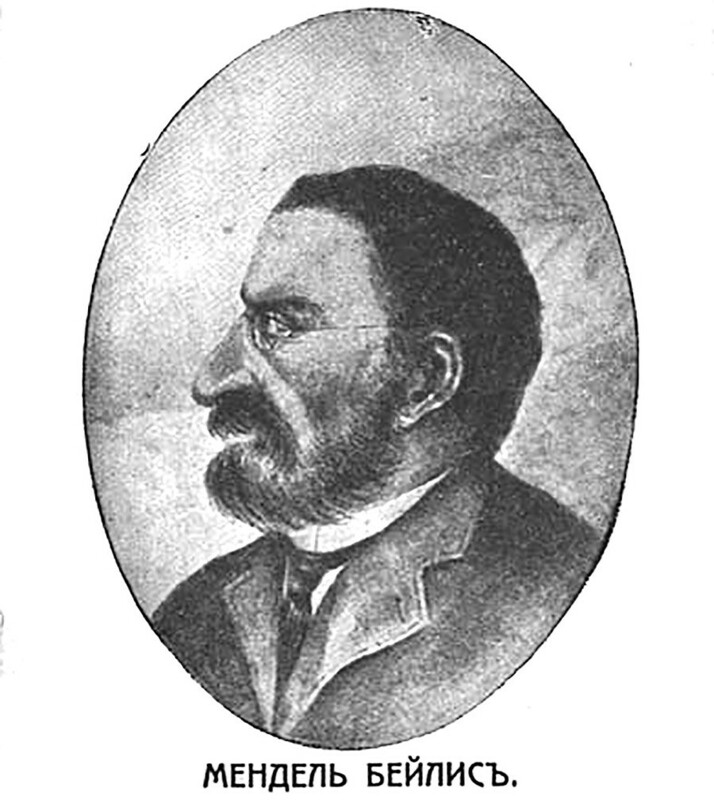 Menachem Mendel Beilis (1874 - 1934), who became a living symbol of the Anti-Semitism in the Russian Empire after being held arrested for two years and tried for a crime he didn't commit. At the beginning of the 20th century, an innocent man was tried by the state and spent two years in prison for a crime he didn’t commit. 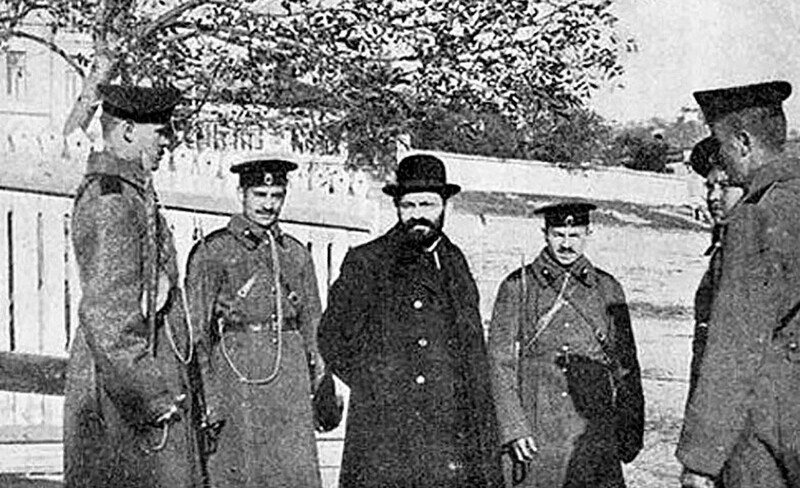 The trial of Menahem Mendel Beilis became a shameful symbol of anti-Semitism in the late Russian Empire. The body of a 13-year-old boy, Andrey Yushchinsky, was found in a cave on the outskirts of Kiev on March 20, 1911, eight days after he had disappeared. The boy had been brutally murdered. His body had 47 puncture wounds and was drained almost entirely of blood. The horrifying story spread quickly and became the main topic of discussion in the city. Four months later, on July 22, the police detained Menahem Mendel Beilis, Jewish man who worked as a clerk at a brick factory. Beilis didn’t kill Andrey Yushchinsky. There was no strong evidence against him, and he had a strong alibi. But how much did any of that matter when the authorities had decided, despite all evidence, that Jews had killed an innocent boy? In the end, he would spend two years behind bars despite being innocent. Beilis with the police officers arresting him. Even they didn't strongly believe in his guilt. The publicist Vladimir Bonch-Bruyevich, who witnessed the trial, described Beilis in his memoir: “What can I say about him, a typical middle-aged Jew whose face you have seen so many times? 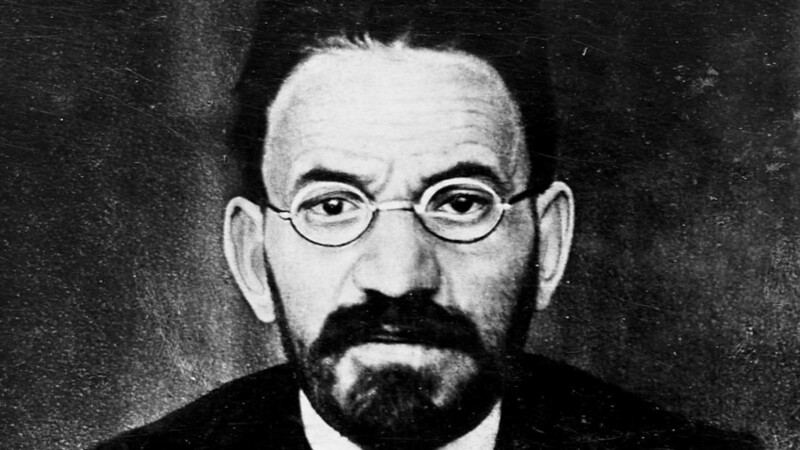 You’ve seen him in a drugstore, or in the university, or among workers…” Unfortunately for Beilis, there was a wave of anti-Semitic paranoia in the 1910s as the far right were trying to seize control of politics. “Far-right groups, using the press and their influence in the government, successfully promoted the suggestion of ‘a ritual murder’ committed by the Jews,” writes historian Artem Nazarov in an article dedicated to the Beilis trial. The far-right sought to cast Yushchinsky’s murder as a real-life example of a tired old myth about how Jews would supposedly murder Christian children and use their blood in religious rituals (blood libel). Beilis as portrayed during the trial. From the beginning, the case was politically motivated and corrupt. As Soviet historian Alexander Tager pointed out, the investigation was essentially controlled by Georgy Chaplinsky, a Kiev prosecutor who was loyal to the notoriously anti-Semitic minister of justice, Ivan Shcheglovitov. Thus, despite contradictions between state witnesses and the many outside experts who rejected the “ritual version,” this wound up being the case’s defining narrative. The evidence against Beilis was weak at best. Only a few people testified against him, claiming that they had seen him grab the boy. These witnesses included a half-blind beggar, a lamplighter who changed his statements several times, and the daughter of Yushchinsky’s neighbor, Vera Cheberyak, who was herself a suspect. Tager argues that Vera Cheberyak, along with accomplices, could have killed the boy out of fear that he would report them to the police. Tager is not alone in this opinion. Numerous other specialists, beginning with Nikolay Krasovsky, an independent investigator who was fired after disagreeing with the official “ritual” version, have claimed that the most likely real killers are criminals from Cheberyak’s circle. 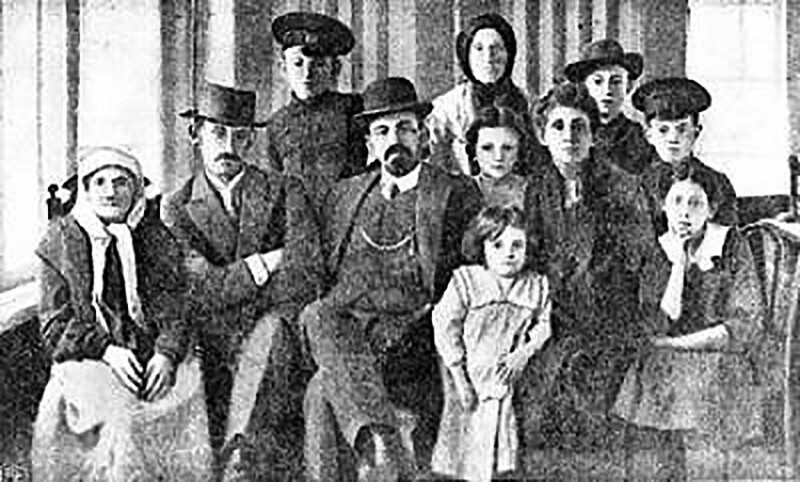 Beilis with his family (he was the father of five) after his release. He didn't live in Russia long after being freed. Nevertheless, the authorities chose to ignore all these contradictions and begin the trial—nearly two years after the investigation began. Although the minister of justice understood that the evidence was tenuous at best, he is reported to have said that, “If we don’t try him, everyone will say that the Jews bought me and all the government.” In fact, Beilis wasn’t even religious and had a strong alibi: He was at work at his factory—what’s more on Shabbat. Public opinion, along with the dubious evidence, wasn’t on the prosecutors’ side. Bonch-Bruyevich recalled that, “I could hardly find in all Kiev two hundred people believing the rumors [about Jewish ritual murders].” Around two hundred intellectuals – writers, artists and academics – signed an open letter in support of Beilis and condemning the notion of blood libel. After this whole ordeal, Menahem Beilis and his family chose not to stick around Russia much longer, emigrating first to Palestine and then to the United States, where Beilis died in 1934. After the revolutionaries won, the fate of the Jews in Russia didn’t improve much. Here’s a story about how Joseph Stalin tried to create his own loyal Israel but eventually failed.